Susan Rains Design and Merion Art have partnered to offer Shop at Home Custom Framing. 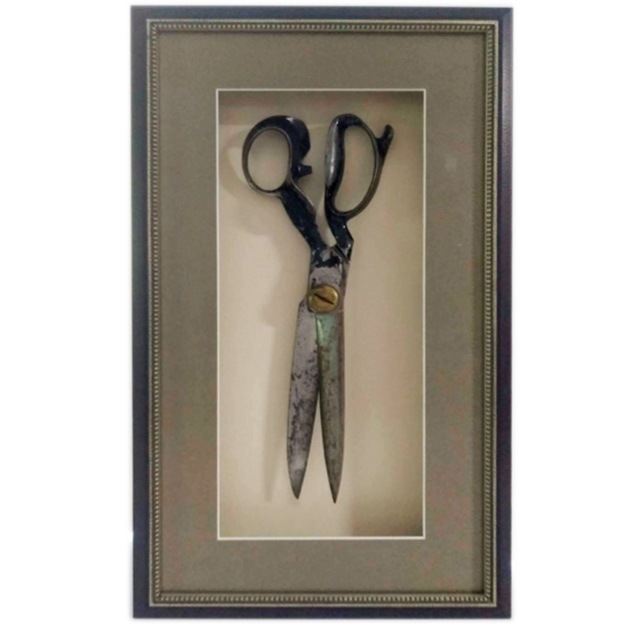 To serve our clients better all around, Merion Art and I have partnered to offer the convenience and unsurpassed design experience of shop at home custom framing. Custom picture framing was my first career. During my thirteen years as a framer, I moved around a bit and worked at several shops in different states and towns. I started as a salesperson and worked my way through all aspects of production to eventually work at Merion Art for eight years and become the studio manager. During my last three years at Merion Art, I studied Interior Design at Drexel University and went on to open my own residential Interior Design practice. I maintained a close business relationship with Merion Art, and continue to work there on the weekend. I've helped so many of Merion Art's new and loyal customers; maybe I've helped you? My experience working with customers has shown me several problems people have when trying to choose their framing. 1. Second guessing the matting and frame because you're unsure of the wall, furniture and accent colors in the room. 2. Taking the piece home only to find it's too big, has too much reflection to see clearly, or it doesn't work well in the room you want to hang it. Then incurring the additional cost to correct the mistake. 3. Transporting your art when it is big or fragile. Large Artwork and precious objects can be cumbersome and stressful to move without damaging them or requiring a particular vehicle. 4. Your busy schedule does not mesh well with our regular business hours, and there are a lot more fun things to do on a weekend afternoon than waiting in line for framing. 5. You're unsure what will look best where you want to hang your art, you’re unsure where to hang it altogether or want ideas for grouping that someone can only provide by standing in your space. Our new shop at home custom framing resolves all of these issues. You can make decisions with total confidence while picking my brain for ideas that will enhance, accentuate and add the finishing touch that brings a room together. I'm offering a $75 credit towards your purchase of the custom framing solutions I present to you. Up to 2 hours of consultation time in your home or office. Additional time is available. Upon booking this service, I will send you my insightful Custom Framing Questionnaire. I want to learn the story of your art, where you might hang it, what you want to achieve, and details about your home décor. I arrive prepared with a wide selection of mat board and curated frame samples specially chosen for you. Along with all the tools of the trade to illustrate the framing process and answer your questions. I will give you home decor ideas for where to hang your art, how to create a gallery wall, where your home could use additional artwork and where you can find it. I come to you. You won’t have to run another errand or work around inconvenient business hours. Nothing compares to the certainty you'll feel when making framing selections in your home. You'll know for sure the matting will not clash with your walls and that the frame finish will coordinate with your decor. Large or fragile art can stay safely in your home until it’s time to be framed. I use my combined framing and Interior Design experience to curate a selection of frames for you from over 5,000 choices. I always keep your decor style, colors, materials and the best way to preserve your art at the top of my mind. We offer volume pricing for residential and contract framing needs. Within 48 hours I will provide you with a price quote. If you like the price quote, you’ll drop off your art, or you can request our pick up service. If we pick it up, we’ll take care of packing your art and transporting it carefully to and from the studio. You’ll receive a call when your artwork is ready for pick up, or you can request our delivery service. Delivery services mean no more worrying that the SUV will be wide enough or accidentally banging your beautiful new framed art into the door. I can also recommend a professional picture hanger if you need assistance with hanging. ENJOY THE VIEW! YOUR ART IS READY FOR ITS BIG DEBUT IN YOUR HOME! A $75 credit towards your purchase of the shop at home custom framing solution I present to you. Are you ready to get started or want to learn more? I look forward to helping you make the most of your beautiful artwork.